A good story will sell itself on each page, without having to rush along as if the reader has the attention span of a goldfish. 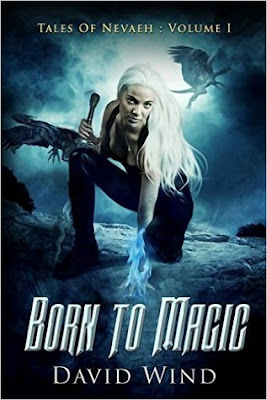 It's subtly evident from the beginning that Born To Magic is worth reading. A sci-fi and fantasy story showing an humanity with Paranormal abilities enabling them to battle the horror of their past. With prose that is crisp and clear, the pages seem to turn themselves. The main characters Areenna and Mikaal work well together in the usual boy/girl ways, but this is more than a tale of love or loss, it is a tale of hardship and redemption, with some uncertain triumphs over evil. Readers can't go wrong here; pick it up.